Happy Valentines Day Darling Divas! I hope you all will be mine especially after we bond with today’s video. 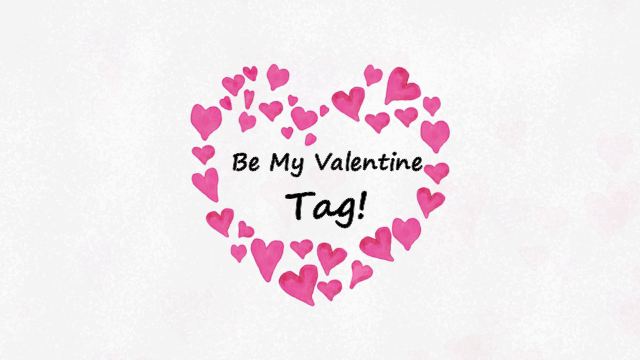 Today we are doing a quick, cute and fun tag in honor of lovers day! I always love doing tags because it allows you to get to know me more, and we get to take a tiny break from fashion. If you are looking for some last min outfit ideas for tonight or this weekend, click here for my Vday lookbook. It has EIGHT LOOKS in total, so I am sure you find the perfect outfit for you! Enough of the inro lets get into the tag! I hope you enjoyed today’s video. Below is a clean copy of the tag questions. Feel free to answer them in the comments! 1. Valentine’s Day…over hyped or a fun day to spread the love? 2. What was your favorite Valentine’s Day memory? 3. Conversation hearts or chocolate covered strawberries? 4. Choose a celebrity to be your Valentine. 5. Who are you celebrating Valentine’s Day with this year? 6. What is your Valentine’s Day dinner plan? 11. Describe your perfect Valentine date night. So ladies and gents that wraps up today’s short and sweet Valentines day post. Whether you are celebrating valentines day, galentines day, or Single Awareness day, I hope that your day, in general, has been a good one. Are you following me on social media? You should be! Click the links above to check me on out and follow me! I love you lots like tater tots, and I will see you all on Friday!